Metrocon is a design related regional expo/conference formed from a collaboration between the ASID(American Society of Interior Designers) and IIDA(International Interior Design Association). 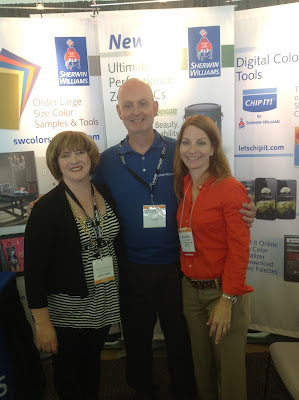 Ed Mattingly, over Faux Impressions with Sherwin Williams invited me to hop over to Dallas and view the Expo. It was also good to see the Sherwin Williams Texas designer executive, Ashlynn Bourque. 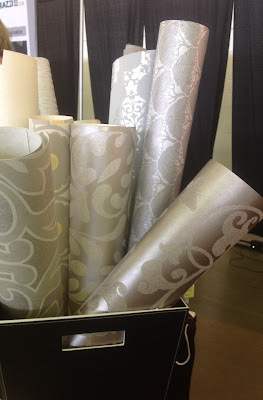 I found some incredible sources and trends for home and office interiors! Take notes on this post, lots of good sources here! 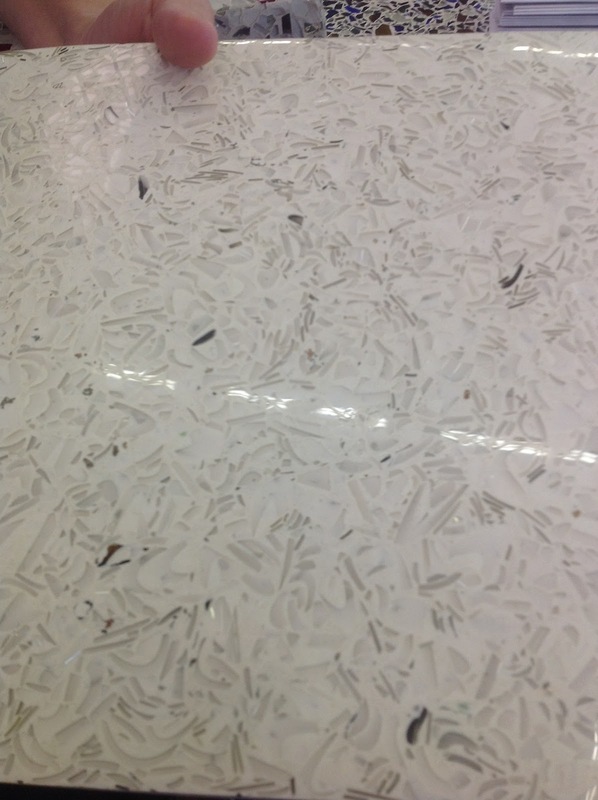 I didn't have to walk far to find inspiration. 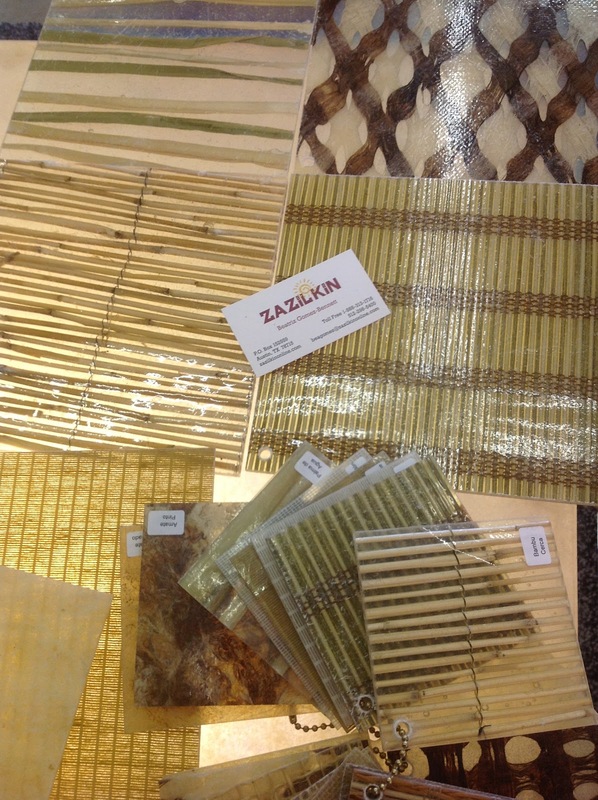 Zazilkin creates decorative resin panels embedded with fibers and texture that are only limited by your imagination. I personally have seen them used in the Hilton Garden Hotels as dividers between lounge and eating areas. A local "green" grocery store in my home town also has a huge end wall of them in their store. (Fresh) The panels combine green technology with decorative art and offer filtered light with interesting designs for ceiling application or other back lit installations. 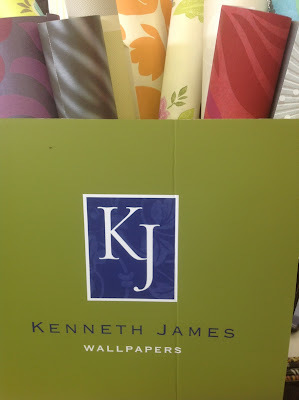 How can you walk past a display of Kenneth James wallpapers? 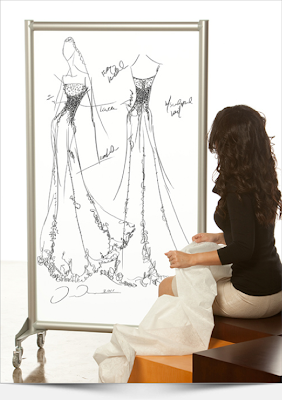 They offer smart looks similar to Maya Romanoff and other cutting edge designers. Local based Dallas company, Glass Recycled offers green decorative solutions by using recycled glass. 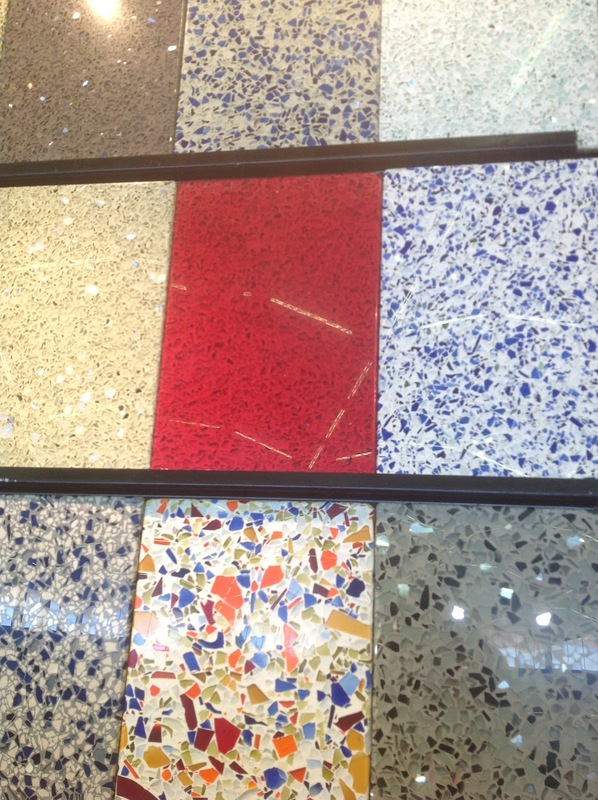 Crushed glass is used in terrazzo fashion to create almost limitless designs and colors. 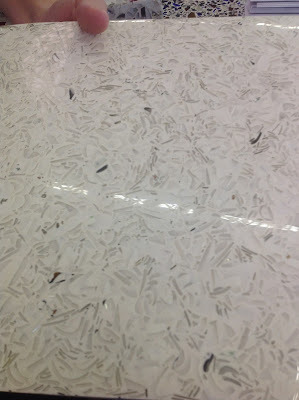 You must click on the enlargement of this photo! 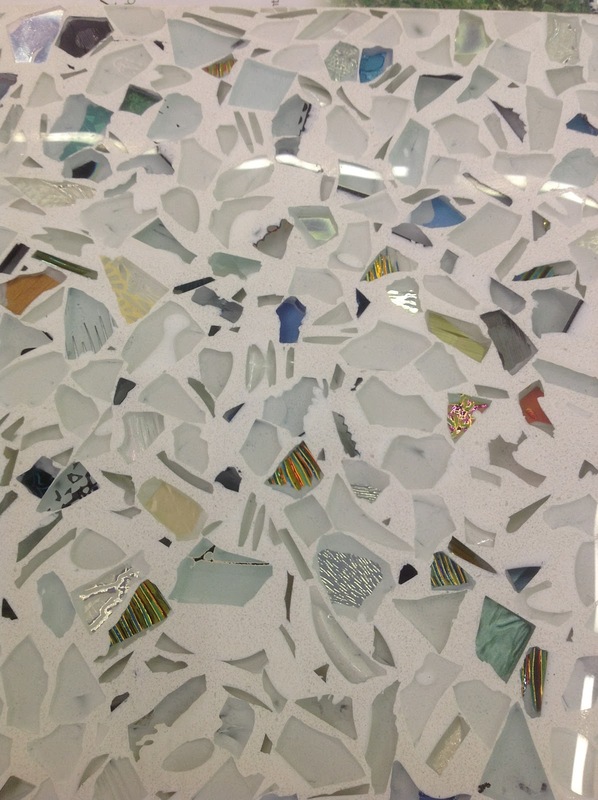 All kinds of bits of colored glass are embedded....Give them a call or check out their website for countertop and flooring ideas. 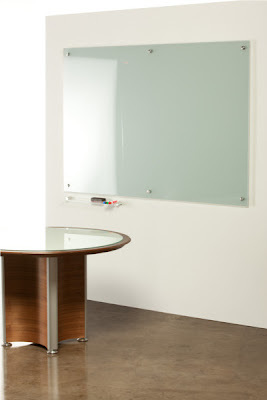 Speaking of glass, my mind went wild over Clarus glass boards. This is such a clean, updated solution for a dry erase or chalk board. 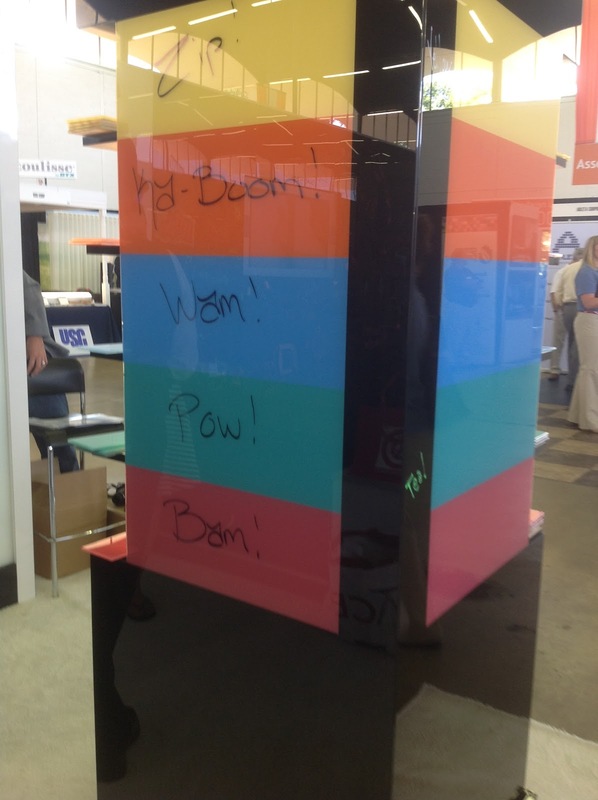 This product appeals to both right and left-brain people! Without checking their website, I knew Apple (tm) had to be a client for this product! 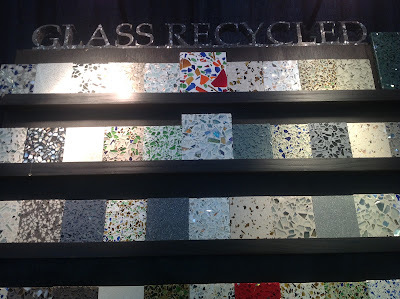 Glass boards can be traditional white, or almost any color of the rainbow. 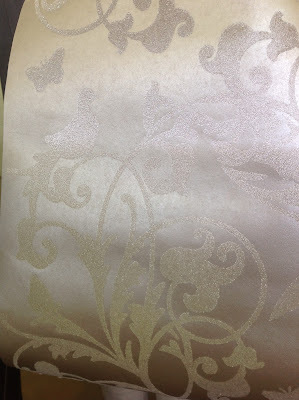 Clarus has so much potential for decorating, these panels function as wall art when not in use. 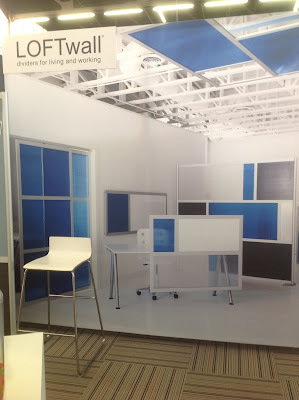 Blame it on a combination of growing up in the 60's and watching the Jetsons that made me give Loft wall a double take. 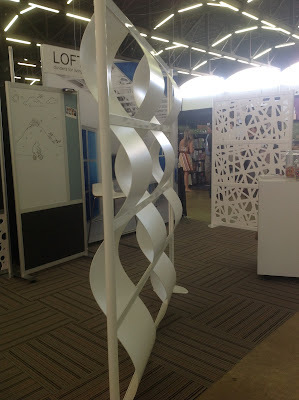 They have some interesting products for dividing space with creative solutions. 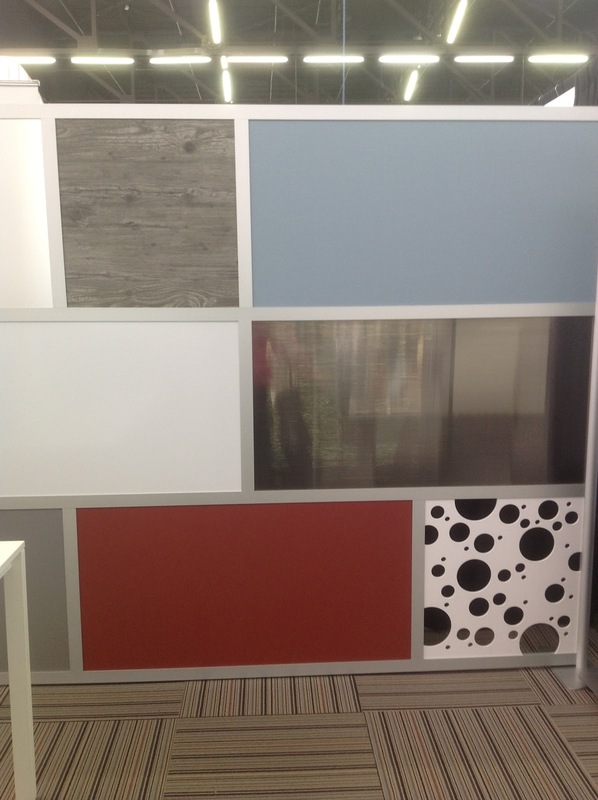 Panels range from color blocks and woodgrain to more modern graphic designs. Go to their website and see the potential! My heart stood still when I saw Studio art's desire. 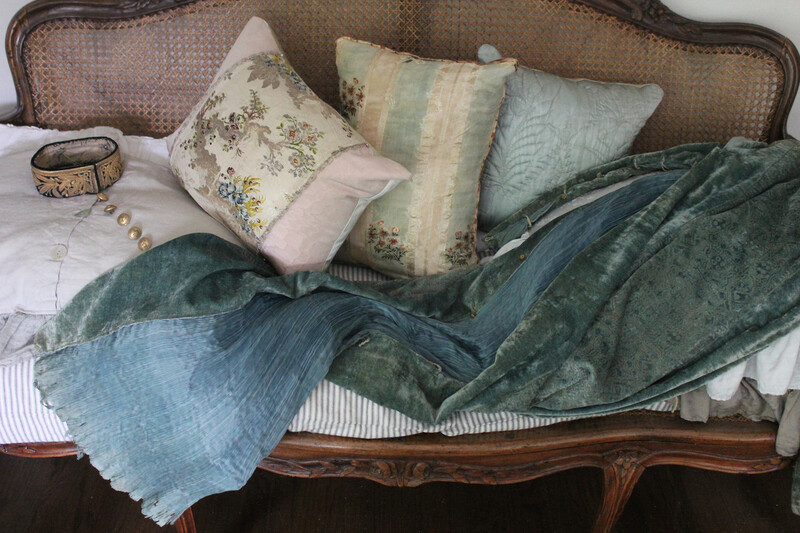 Owner and creator Freda Vaughn seeks unique artists that offer "dimensional, tactile and visceral" custom installations for her clients. 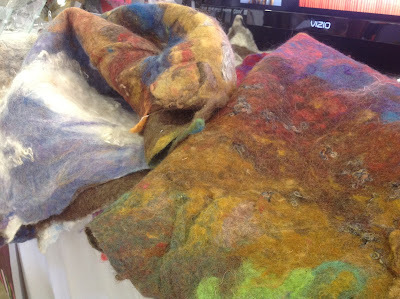 Featured felt artist Audrey Legatowicz had several samples of her fabulous work....Forget wall installations, I wanted to wear them! 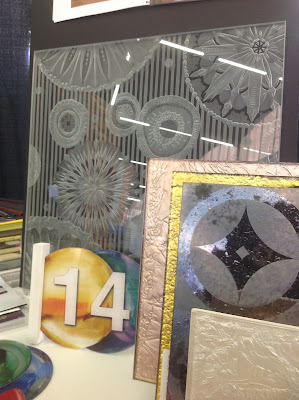 Also featured were embossed and textured art glass. 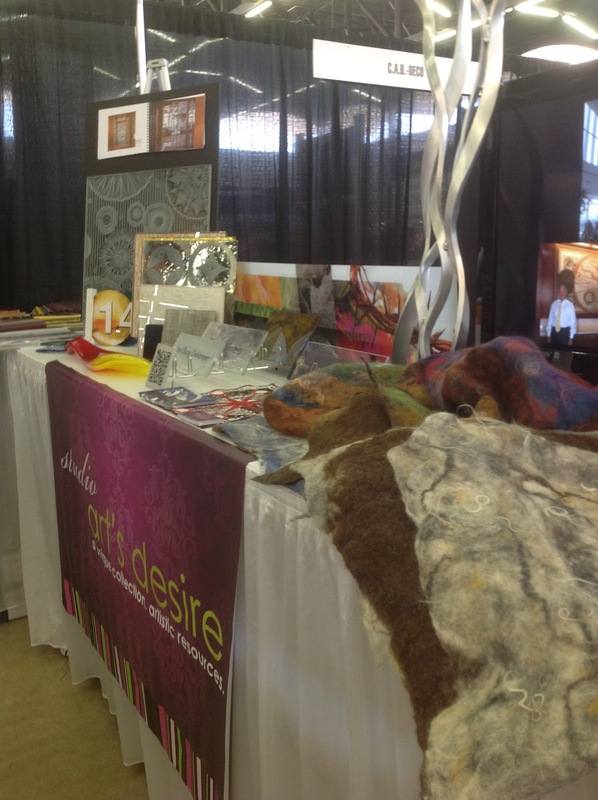 Studio art's desire should be a solution in your creative files. 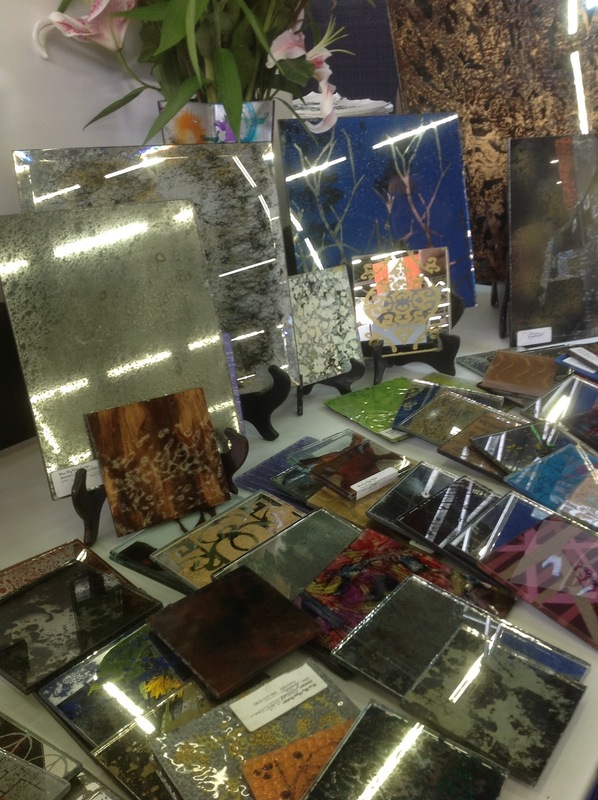 Do you need a source for antiqued or decorative mirror for an interior? Mark Anthony Portolano owner and designer with Blue Sky Glass Design is waiting. 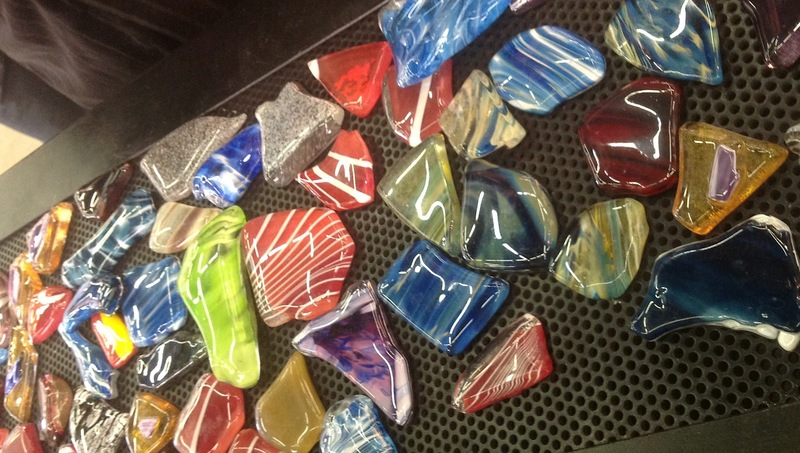 Based in Texas, Blue Sky Glass can etch, stencil, antique or sandblast a project for you to create "eye candy for the soul"and promises to always think outside the box! Ok, I saved the best for last! Meeting Dawn Cleaves, Chad Paulson and Samantha Murray of Artisan Finishes was just icing on the cake. This is a group of artists with exceptional diversity able to translate your dreams into reality. With backgrounds in theater art, clay and plaster troweling, traditional and modern faux finishes , Broadway scenic shop work and film work, these artists are the trifecta in creative solutions. 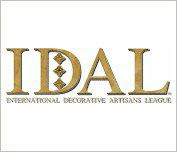 Dallas area based, they offer yet another source for interior spaces. I would love to work with this crew to create some magic! Ok, this last shot was hard to capture....see the photo at the top of the post? 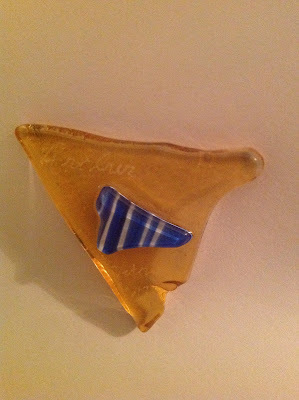 This is a glass fragment from the Vetro glassblowing booth. They engraved it for me...."artlvr"....(see, at the top?) 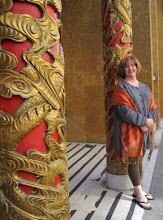 Overall, I had a wonderful day, came away with new friendships, and loads of sources that I hope you, too will enjoy. 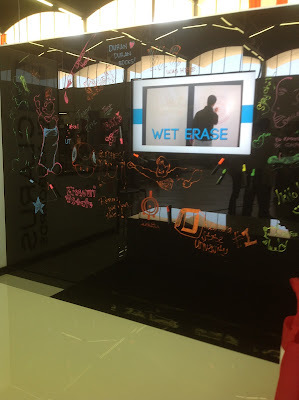 My take away is the glass erase boards. I've even got the plate glass! Thank you so much for the wonderful comments you made about us! We all enjoyed meeting you as well and had such a fun time at the show. I can imagine your head was whirling with ideas. Having worked with sandblasted glass myself, it was exciting to see the embossed glass of Studio Art's Desire. Thanks for the posting - I'll be bookmarking this one . 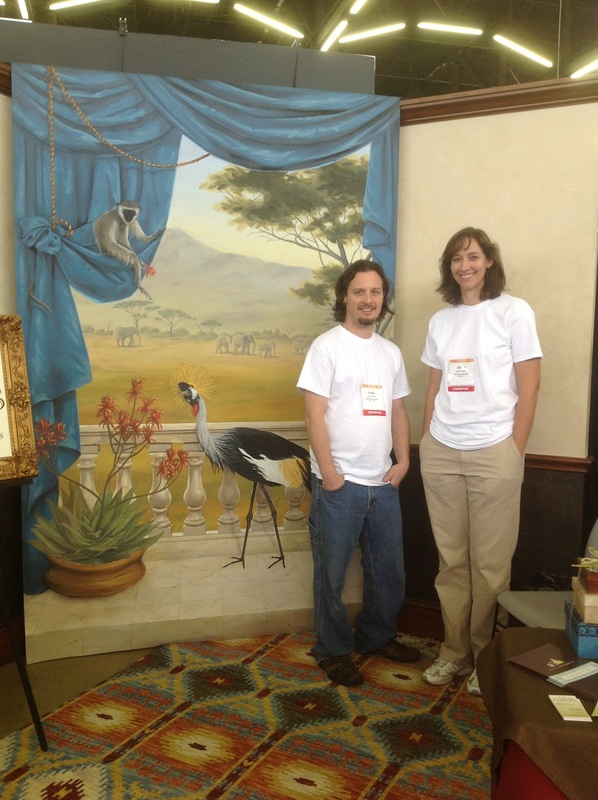 . .
How exciting and energizing an event. I will be back to check out every single link!! Love all of these every cool applications!